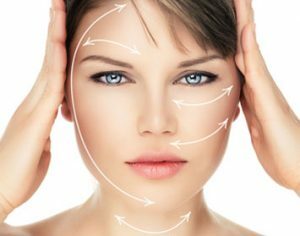 HSA Dermal Clinic is proud to operate as a uniquely capable and committed skin clinic in Kingston upon Thames. Our ongoing mission is to outperform every comparable skin clinic in the region, by providing every client we encounter with the total package of unbeatable results and guaranteed value for money. Our experience and expertise extend to a wide variety of skin conditions and complaints, for which we provide cutting-edge, 100% non-invasive treatments from our advanced skin clinic in Kingston upon Thames. Irrespective of the nature and severity of the condition, we’ll provide you with an accessible, affordable alternative to going under the knife. We are proud to have worked with thousands of men and women of all ages across Kingston upon Thames and beyond, continuously improving and enhancing the services we provide. If you’d like to learn more about HSA Dermal Clinic, contact a member of our dedicated support team, or pay us a visit at our Kingston upon Thames skin clinic anytime. HSA Dermal Clinic is committed to accessible and affordable skincare solutions, making us a Kingston laser clinic with a difference. Working with the most advanced technology ever devised, we’re able to perform an extensive range of skin and hair treatments quickly, effectively and at the most competitive prices. From our cutting-edge Kingston laser clinic, we cover all aspects of permanent hair removal for men and women alike, correction of skin pigmentation and evenness issue, scar treatment and removal, treatment of spider veins and many more treatments besides. Our commitment to 100% bespoke services for every client we work with enables us to consistently outperform all other Kingston laser clinics. We create a unique treatment and skincare solutions from scratch, tailored to meet the exact requirements and available budgets of each individual customer. Visit us at our Kingston laser clinic to find out what makes HSA Dermal Clinic different, or contact a member of our customer support team to book an obligation-free consultation. Setting new standards in effective hair removal for Kingston and the surrounding region, HSA Dermal Clinic delivers the all-round experience. From our friendly and welcoming clinic in Kingston upon Thames, we provide a comprehensive range of permanent hair removal treatments for men and women alike. We use state-of-the-art laser and IPL technology to quickly, effectively and permanently remove even the most stubborn hair. Powerful yet gentle, our treatments are suitable for all areas of the body and the vast majority of skin types. Whether ready to go ahead with permanent hair removal or simply considering the options, we’d be delighted to invite you to our Kingston clinic for an obligation-free consultation. Restore pride in your appearance or simply eliminate the need for unnecessary grooming, with our cutting-edge hair removal treatments at the heart of London. Call today to organise your free consultation with one of our experts – we’re standing by to take your call.